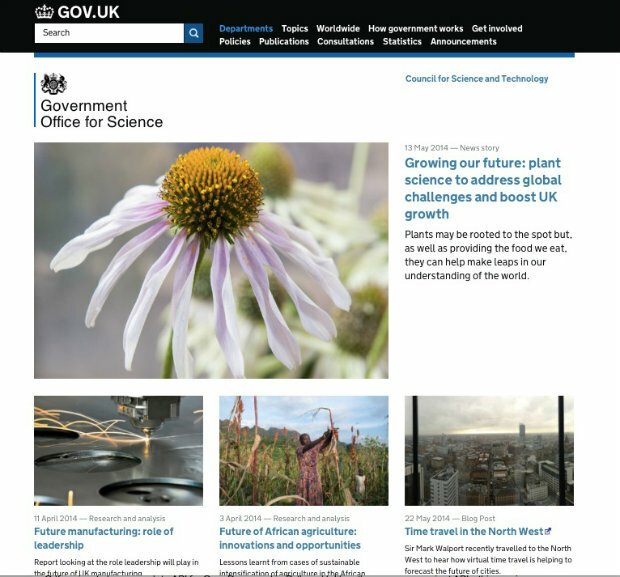 We’ve recently upgraded the ‘featuring’ interface for GOV.UK publishers. For the first time, you can promote items that live outside the ‘departments and policy’ section of GOV.UK - such as blogposts and services. We’ve also improved the way you can search for items to feature. This blogpost tells you what’s changed, and what you’ll now be able to feature. Up until now, these types of pages have all had slightly different featuring interfaces, and different things you could feature. We’ve standardised all of these, and improved the user interface across the board. There are 6 promotional slots available, but you don’t have to use all of them. Go play. Tell us what works, and what doesn’t. As always, we’ll be looking to learn from your feedback. We'll feature examples of things that people are trying out on this page (e.g., see HMRC's promotion of tax credits). Keep in touch. Sign up to email updates from this blog, or follow Graham on Twitter. Following the Department of Health digital strategy, Public Health England's campaigns are going to stay on http://www.nhs.uk, along with our other 'mainstream' content. It would be fantastic to be able to feature something like Change4Life (http://www.nhs.uk/change4life/Pages/change-for-life.aspx) on our homepage and indeed on any relevant topic homepages. Might you consider including .nhs.uk domains? Hi Liz - sounds like a reasonable request. Hooray! That's great news. Thanks, Graham. Hi Graham. This is a very useful feature. Can I ask why it's only limited to featuring links to gov.uk domains? Any plans to open this out more? Thanks. Hi Umair - possibly - but it'd be good to understand which type of non GOV.UK domains you'd like to link out to? This is really useful. I've already used it to link to GO-Science's latest blog post! In terms of non-GOV.UK domains, it would be useful if we could link direct to our consultations on https://bisgovuk.citizenspace.com/. Of course we can link to the consultation page on GOV.UK now, but if this just directs people to Citizen Space it would be nice to skip this step. Thanks Simon (as you're the first person to tell us you've used this, we're featuring your homepage on this blogpost now). Again - seems a reasonable request for an alternative destination. Brilliant - am I OK with linking to Mainstream? 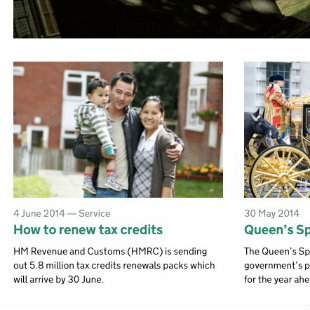 We have a campaign at the moment to get people to renew their tax credits... I've featured it but let me know if it's illegal! (www.gov.uk/hmrc). Yup, that's definitely in the spirit of stuff we'd like people to try out - it's topical, and there's an argument that it's something that people might be coming to the HMRC homepage to do (We're picturing your example on this blogpost). Are you able to report back on how well the link is working?